Across the Eurasian littorals, small coastal nations as varied as Estonia, Georgia, Bahrain, and Taiwan face potentially aggressive threats from larger, more powerful adversaries. For all of these nations, their coastlines represent vulnerabilities that an adversary may seek to exploit, launching a seaborne invasion to seize key locales. At the same time, these small states have great difficulty building up traditional navies that can counter the maritime threat from their neighbors. Their prospective adversaries are up to 100 times larger in both population and the size of their economies. Effective surface fleets are expensive, and submarines even more so; these small states would struggle to achieve even a fraction of the traditional naval capabilities of their much larger neighbors. Obviously, the small states' insecurity is partly offset by their alliances or ties with the United States and other nations. Unfortunately, given the time needed for U.S. and allied forces to build up in theater, a small state may be overrun before those forces arrive. Even if the small state's independence can be successfully restored, as was the case for Kuwait in 1991, the experience of foreign occupation is a nightmarish one. In some cases, independence may not be restored for decades, if ever: It took 50 years for Estonia, Latvia, and Lithuania to escape from Moscow's rule following their annexation in 1940. In the face of such threats and the prohibitive cost of a traditional naval arms race, small states can aim to hinder and deter potential aggressors using less expensive systems. Naval mines are consummate disruptors, and their limited life-cycle costs enable even relatively small nations to purchase large numbers of them. 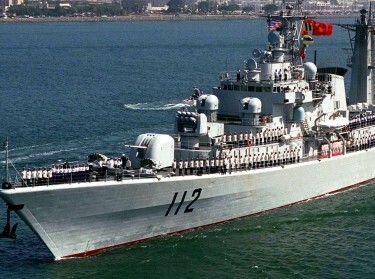 An aggressive force seeking to launch a maritime attack then faces not only attrition due to the minefields, but also the delays and disruptions imposed by any efforts to clear the minefields. The aggressor's mine-countermeasures (MCM) operations can also serve as advance warning of an attack, reveal where it plans to launch that attack, and enable the MCM forces themselves to be targeted. A demonstrated, robust mining capability could act as a powerful deterrent: An aggressor would need to develop a corresponding MCM capability to limit the attrition and disruption that the defender's minefields could inflict. Developing an effective MCM capability can require many years, and it typically costs orders of magnitude more than developing a corresponding mining capability. For example, it would be relatively easy and inexpensive for Taiwan to design and build an array of naval mines for different targets and environments; the technologies involved date back a century or more. 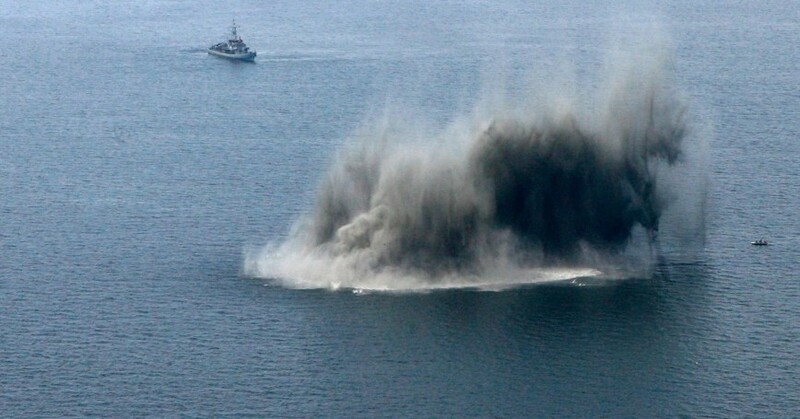 Interspersing different types of mines (such as moored mines that detonate on contact, and bottom mines that detonate in response to a ship's acoustic and magnetic signatures) would make the minefields particularly hard to clear. Taiwanese forces could enhance their readiness and demonstrate it to their prospective adversaries by repeatedly exercising the ability to quickly lay these mines. An ancillary benefit of such exercises is that by putting large numbers of inert mine-shaped objects in the water prior to a conflict, they could make it more difficult for an aggressor to differentiate where the real mines were once the conflict had begun. Even well-trained, capable MCM forces would need to move slowly in predictable patterns to gradually clear the minefield, rendering them vulnerable to other types of attack. Various clever counter-MCM measures (such as having influence mines detonate probabilistically, or designing them to look like industrial detritus) could stymie clearance efforts. In the meantime, the People's Liberation Army Navy (PLAN) MCM forces would be inadvertently revealing where the PLAN intended to operate next, giving Taiwan's forces advance warning. Overall, mines could help to slow down a seaborne invasion, thereby providing time for Taiwan and other nations to respond to the crisis before its conquest became a fait accompli. Advances in unmanned systems could also enable small states to counter threats from far larger nations at acceptable resource costs. Compact unmanned vehicles operating in the air, on the surface, and underwater can perform multiple functions that would otherwise require more-expensive manned platforms. For example, they can undertake electronic warfare against adversary platforms, while also conducting intelligence, surveillance, and reconnaissance in environments that would be too dangerous for a manned platform. They can launch weapons, including the naval mines discussed above, as well as a variety of projectile weapons. Moreover, they can be treated as expendable: Low-cost unmanned vehicles can also be laden with explosives, transmuting them into weapons that can take out far larger platforms. Swarms of low-visibility unmanned surface and undersea vehicles could be used to saturate defenses and disable an adversary's major warships. 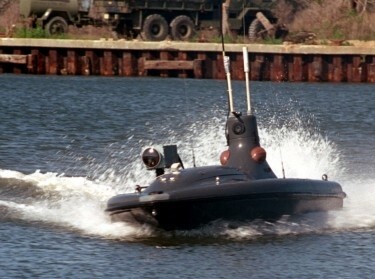 For example, while the Republic of Georgia cannot hope to match Russia's Black Sea Fleet on a ship-for-ship basis, it could use numerous, low-cost unmanned vehicles to inflict damage on key assets. Unmanned undersea vehicles could even penetrate into Russian-controlled ports, collecting intelligence and perhaps launching weapons in supposed sanctuaries. Ideally, developing all of the above capabilities could deter aggression by denying a potential aggressor the quick, decisive victory they might otherwise attain, without overtaxing the limited resources of a small state. The low costs associated with the above systems could enable them to be purchased in appreciable numbers, enabling them to be widely distributed and therefore harder for an adversary to target. Other weapons systems, such as land-based anti-ship or anti-aircraft missiles, could also be considered if their costs do not exceed available resources. Nations that are able to inflict substantial damage against their attackers, and can stymie a maritime invasion for long enough to enable outside forces to come to the rescue, could be much less likely to become victims than those that are denuded of capable forces. These small states will never attain the strength of their much larger prospective adversaries; however, they primarily need to be able to disrupt an adversary's ability to quickly and almost bloodlessly defeat them, thereby causing aggressors to postpone such plans indefinitely. Scott Savitz is a senior engineer at the nonprofit, nonpartisan RAND Corporation. This commentary originally appeared on RealClearDefense on July 16, 2018. Commentary gives RAND researchers a platform to convey insights based on their professional expertise and often on their peer-reviewed research and analysis. Terrence Kelly, Anthony Atler, et al. Scott Savitz, Irv Blickstein, et al.